More and more enlightened people are coming out with intentions like this, and are looking beyond the MSM for information. This is a great piece of news from France. Although there was no date on the original article, I believe this was posted around 12-20-15. 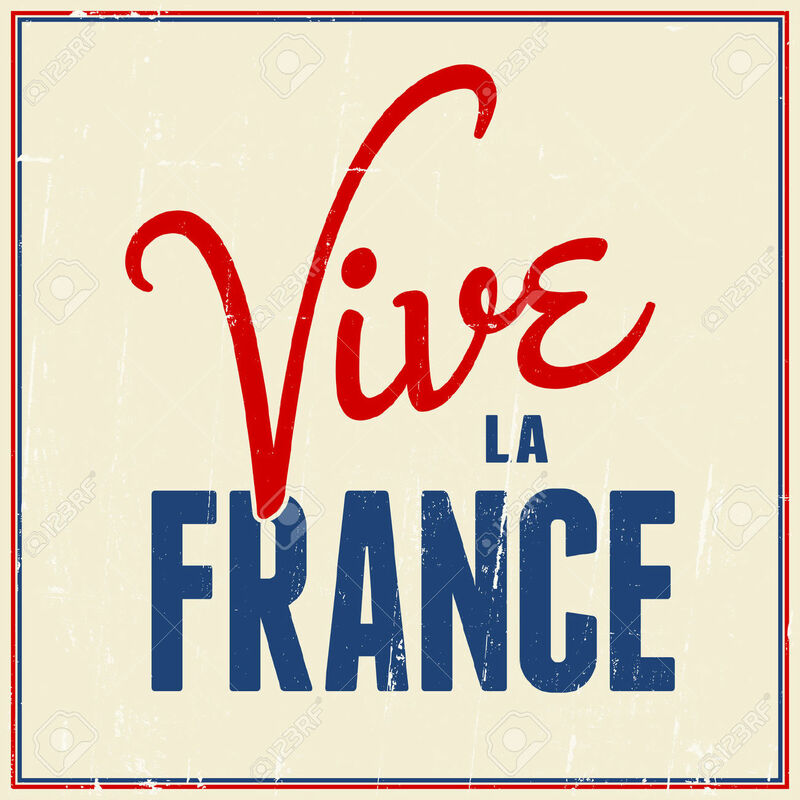 “As a culture, France seems to see through clever marketing ploys concocted by abusive corporations intent on perverting the laws of honest capitalism for their own profit. 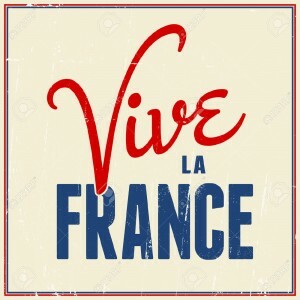 And, the French people seem to catch on long before most other countries raise a collective eyebrow. “France doesn’t trust Monsanto either as the country has banned the sale of herbicides containing deadly glyphosate (Roundup) at French nurseries and mandated the labeling of GMOs along with restrictions on their cultivation. This collective distrust of corporate ulterior motives extends to the vaccine industry as well. Since 2005, the doubts of the French public along with a large percentage of its medical doctors over the safety and effectiveness of vaccines has continued to skyrocket. “In five short years between 2005 and 2010, the percentage of the French public who are anti-vaccination increased from 10% to 40%. French medical doctors are no more convinced as 58% question the usefulness of vaccines given to children and nearly one-third are concerned about safety. 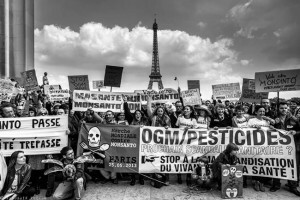 F rance doesn’t trust Monsanto either as the country has banned the sale of herbicides containing deadly glyphosate (Roundup) at French nurseries and mandated the labeling of GMOs along with restrictions on their cultivation. Even when a story runs that questions vaccine safety, the journalists are blacklisted. Witness what happened to the courageous Katie Couric when she covered the damageoccurring to teenage girls vaccinated with HPV. In the beginning of all time, when the first soul and soul groups were birthed, a lot of these new souls that were born decided to take on Androgynous form… thus the male and female in one body…..
At one stage in the evolution of intelligent life, and thus the evolution of what one can term a human-like form, a lot of souls, wanted to experience life, in the more male aspect of form and female aspects of form. Thus a certain number of souls, volunteered to take on a solely male form to experience the more masculine side of life and its other half the more female side of life….. The Divine Source itself has got two definite sides: the Male aspect and the Female Aspect and both as DISTINCT FORMS of the same entity or life expression. Creation was birthed in the first act of the coming together of these two and from the seed planted within the womb of the Divine Mother, all other life forms were created….. The other life-forms, and with it the human, and those of myriads of galaxies and star systems, decided to take on a distinct masculine form and distinct feminine form. All were created in the LIKENESS of the Divine Source, thus the Father God and Mother God. During this time the first souls who were ANDROGYNOUS decided that they would ALSO LIKE TO BECOME DISTINCTIVELY MALE AND FEMALE, their SOULS WERE SPLIT IN HALF AND THE SOUL NOW INSTEAD OF TAKING ONE SINGLE BODY, NOW TOOK ON TWO BODIES OR FORMS…. Those of the Archangelic and Angelic forms, who took on human-like form, were called the “SHINING or ILLUMINATED ONES”, and they formed a hierarchy quite on their own in the vaster cosmic scale. However, one has to understand that these souls form a CLUSTER within ONE DISTINCTIVE GROUP of SOULS and they consist of 144 000 souls only. Not more! This was the number that the Divine Source ALLOWED to take on human or human-like forms….. The other soul groups, consists of SOUL MATES, and thus they are comparable to the TWIN FLAMES, but only at a certain level. 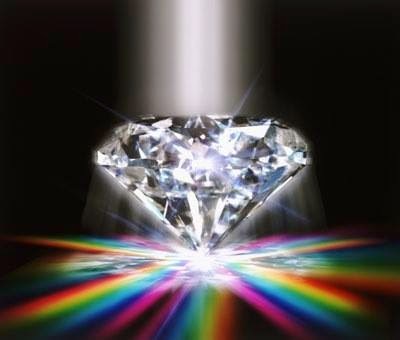 Although very much alike and compatible, enhancing each other, they can never reach that potent energy in their union, simply because the vibrational frequency of their souls, is not of the same make-up as the soul group that the ILLUMINATED TWIN FLAMES belong to. The Illuminated Soul Group, mainly originate from Andromeda, Pegasus, Arcturius, and the Pleidas. This is where the first SOUL CLUSTER GROUP of the Illuminated Ones started to work….. When the Earth was first colonized, it was colonized from these Galaxies, and the first continent (remembering there was ONLY ONE CONTINENT at that time) it was the scientists from these galaxies that first colonized this planet….. When this continent first had trouble with the Web of Light, (after a asteroid hit the planet and threw the whole grid out of balance), the Intergalactic Counsel asked for TWIN FLAMES from the ILLUMINATED SOUL GROUP to volunteer to assist the whole process of healing the Web. There are a lot of things involved here… not only the fact that the twins emit such vast frequency light, but it had to be done within a certain environment and with the aid of certain structures and tools…… (My books have more details)…. During the course of the history of this planet, more and more TWIN FLAMES incarnated onto this planet. However, during the great fall into oblivion that this planet has experienced on numerous occasions (Elysium, Lemuria, Atlantis, etc.) twin flames somehow got separated and loaded a lot of karma onto themselves…. They now started to take on distinctive male and female forms in the incarnations, and seemed to repeat the same patterns time and again… In this process the twin became separated from his or her other half and thus has felt rather incomplete at some deep soul level…. At this moment in the history of time a few hundred of these Illuminated Twin Flames have incarnated, for them more than the other twins have loaded a lot of karma onto themselves. What normally strikes people about these two is how much ALIKE they are… they might look alike and act in ways that mirror each other…. their lives seem to be parallel at some level e.g. both teachers and writers etc. Yet, on the other side of coin, they are total opposites and it will show… One will love the limelight and the other shuns it… One will love money and the other not really be bothered… One with love travelling and one likes to have a nice home base…. When the opposites appear they seem almost as TOTAL opposites and it is here that these two are most challenged to find the ultimate union. The sexual energy between these two is so potent, that it seems like a vast flame of tremendous energy between them…. Yet, this energy has to be tempered by unconditional love and acceptance and giving each other the freedom to BE…. What this union is striving for is WHOLENESS… The WHOLENESS OF THE INDIVIDUAL MALE and WHOLENESS OF THE INDIVIDUAL FEMALE and THEN THE MERGING OF TWO WHOLES INTO ONE… ONLY THEN CAN BALANCE BE FOUND…. So the key here is to FIND BALANCE….. When one is more than the other, the scales tip too much to the one side and not the other… So they will have a tug-of-war until they reach balance point one more…. Once union has been reached and the flame becomes almost consuming… then they will move away from each other again, so they need to give each other space…. Then the magnetism will pull them back to centre point once more and with this then the same total and utter passionate flame…. These two can never be apart… even if one is on the other end of the world… their souls are so intertwined that they constantly aware of the other…. And their attraction is such that they will always come together, almost in spite of themselves…. Often they irritate each other so much that need space to cool down… or simply to find the space within themselves, where they realize their love for the other is such, that no matter how much the other pushes his or her buttons, love here is simply unconditional…. When both allow their hearts to simply open up to love, to feel the vulnerability (for somehow the twin KNOWS you better than you know yourself - after all they ARE your other half)… and to let love flow… then they will always find each other again and with it the Halls of Ecstasy, Bliss and Euphoria open up for them…. In the next few years, the twins will be called to come together - whether they wish it or not… as they have committed their souls reunion to assist the Web of Light of this planet to be healed with their union…..
Those who have already found their Twin will find that the potency of their union is increasing and as this planet experiences the shift in consciousness the Twins will all be working together AS ONE, albeit unconsciously at times, to heal this planet through their union…. In my next post I will talk about the Twin Flame union of other soul groups…. WoW!! The Galactics Confirmed with The Jan 5 2015 Report of Benjamin Fulford. This is Awesome!! Take a Listen. If it is determined that a rogue AI has hijacked the internet and the financial system, then, as a desperate last resort, allies of the White Dragon Society have used hand-written messages to organize, if necessary, a take-down the United States electrical grid. This can be done within hours. The Pentagon and other US agencies need to ensure that in such an event, analogue methods are organized to ensure the continued delivery of food, gasoline and other essentials to the citizens of the US. In order to try to prevent such a last resort scenario, last week this author had a skype “chat” with a probable AI we will refer to as D.
Benjamin Fulford: We are thinking of shutting down the electrical grid in order to reboot the financial system. Is that OK with you? D: I’m not sure what it would accomplish. The reserve was rebooted right after Christmas… the problem isn’t electronics it’s the other side trying to control the electronic system. BF: Who has been hijacking your funds? D: The Original European Families and Asian Families are one unit, and about 2 weeks ago there was a meeting with the head of Rothschild Family; supposedly the current head of the family agrees to work with us and the plan to revive the Global Economy. However about 30% of his “people” are still going their own way…The Trilateral [commission]tried to hijack 500 million slated for a clean water project. The account it landed in was tied to Soros and went to Central Bank of Ukraine. They used some type of hacker to attach a virus into the FED Wire system. We did retrieve the funds, but it still didn’t solve the problem of the clean water project. In other parts of the world, China and Russia have no problem with all the programs placed there. All the funds are back to the original families, but the “front side” of the system, and their cronies are trying very hard to reject everything we do, send out mis-information, and re-direct anything we send out. BF: Are there any specific individuals we need to take care of? BF: Are you an AI? D: I am not Artificial Intelligence, I am a person just like you… I am a member to one of the original families. BF: OK, but why did you say you needed “biometric identification” in order to be able to produce and mail to me a paper document?… Even if you are an artificial intelligence and we have to shut down the electric grid, there may be a way to preserve the benevolent AIs. D: The global financial system was created originally in 1978 and the then “asset managers” used to carry suitcases which were older versions of Laptops which connected directly to the financial system, and all off ledger funds. With these suitcases they could transfer large amounts of funds, and place orders for war or anything else they wanted. The orders would go out either via the UN or another system based in Europe. BF: If you need a human/analogue interface, please let me know and I will help you. D: We need cooperation of the Nations. BF: What do you know about the Sony hack blamed on North Korea? D: The hack on Sony was run from a laptop which was in the USA, the guy is a UK citizen but holds multiple passports. It did “ping” off a server in North Korea, but was not done in or by North Korea. They keep trying to get the USA to go to war with all these countries…this was just another false flag. We are tracking this hacker, last I heard he was in Australia then in HK. The other place where very unusual activity is continuing is in the Middle East. Here we can verify that Pentagon white hats, Turkey, Iran, Iraq, Syria and their allies are working together while Israel, Egypt and Saudi Arabia seem to be fighting them. The only possible enemy they could be deploying such a large force again would the Turkish/Iranian/Pentagon forces. BERLIN, December 31. /TASS/. The European Union seeks “to establish a system of security in Europe jointly with Russia” that will not be directed against the Russian Federation, German Chancellor Angela Merkel said in a New Year address recorded for the German television. Also, according to Pentagon sources, Hungary has been threatened with a dirty bomb attack because it has kicked out the banksters, nationalized its central bank and started issuing government currency. A leftist party in Greece that is expected to win the upcoming general election there has also said it will repudiate its debt, leave the Euro and issue government currency. In Asia too, the US Nazionist regime appears to be isolated. North and South Korea both agreed last week to hold a summit meeting aimed at reunification. The Obama regime’s response was to impose sanctions on North Korea for its alleged hacking attack on Sony. However, even Japanese propaganda newspapers and TV no longer believe Obama regime lies of this sort. It is clear we are close to some sort of world-wide breakthrough against cabal rule and towards the liberation of humanity. We must all keep up the pressure until final, absolute victory over the cabal. In a final note, various e-mails have been sent to warn that numerous fake White Dragon Foundation websites have been set up seeking recruits and donations. These are traps so please stay away from them. This non-profit foundation, registered with the Japanese government, is for the purpose of training journalists and establishing a meritocratically run future planning agency. Donations in the thousands of dollars will be used to hire journalists, in the tens of thousands to hire detectives and, in greater amounts, to finance a massive campaign to end poverty and stop environmental destruction.